Are you experiencing hair loss or noticing tufts of hair in your comb? 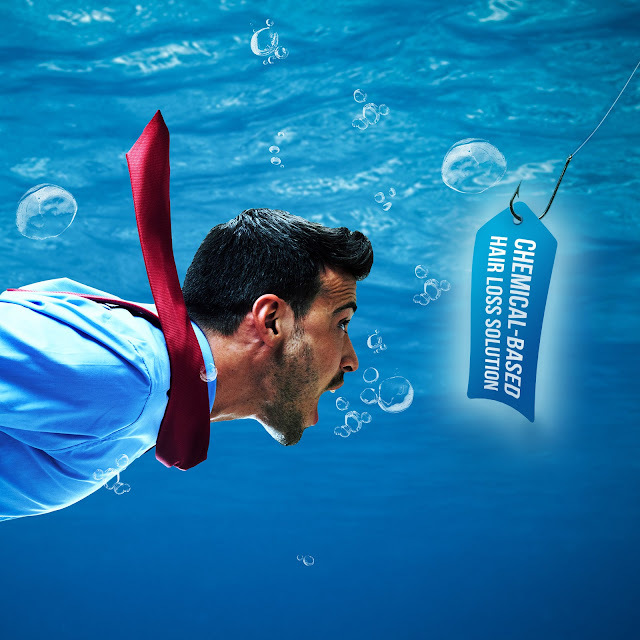 There are few factors that cause hair loss or baldness, sometimes this is caused by physical and emotional stress, pregnancy, too much intake of Vit.A and using chemical-based products. Desperate times call for desperate measures. When you’re losing tufts of hair or seeing bald patches on your scalp, it’s but natural to feel the need to do something about it. 2 months ago my husband was diagnosed with fatty liver. I know that this one caused by consuming too many fats and unhealthy food. I was worried the first time I heard about it but the doctor told me that it can be reversed in just 1-3 months depending on the person. I was searching online for proper care or what food should I prepare for my husband. It's good that a friend of mine, I call her Ms A introduced Herbalife Nutritional Shake which is ideal for people who likes to be in shape and be healthy. We have been using Herbalife Nutritional Shake in Vanilla and Chocolate flavor and the result is quite good.What really excites me is that Herbalife launched a new 2 flavours. 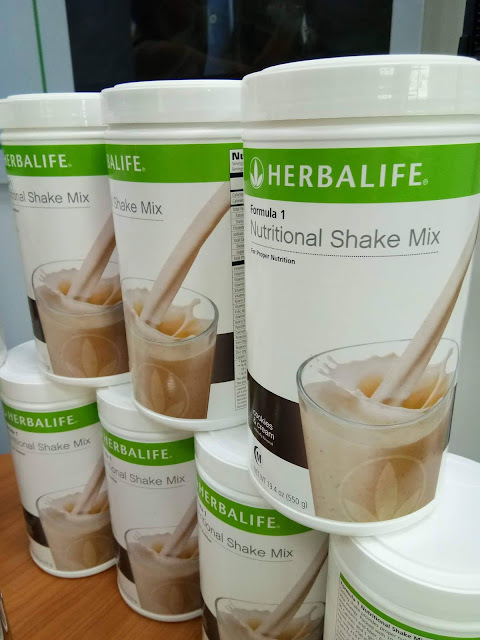 Herbalife Nutrition, a global nutrition company, has recently launched two new exciting additions to its product line-up in the country: a new favour of Formula 1 Nutritional Shake Mix - Cookies and Cream, and Herbal Aloe Concentrate Mandarin. The Internet of Things (IoT) has gone beyond being a buzzword and established a new world order wherein technology works to make people’s lives easier and more manageable. Suddenly, all the contraptions that we saw in the animated series “The Jetsons” do not seem that far from reality. When you think of IoT, you may think of wearables that track how much exercise and sleep you get or watches that allow you to send text messages. Then, of course, there are the many, many things you can now take control with the use of your smartphone. LG's SmartThinQ is user-centric. 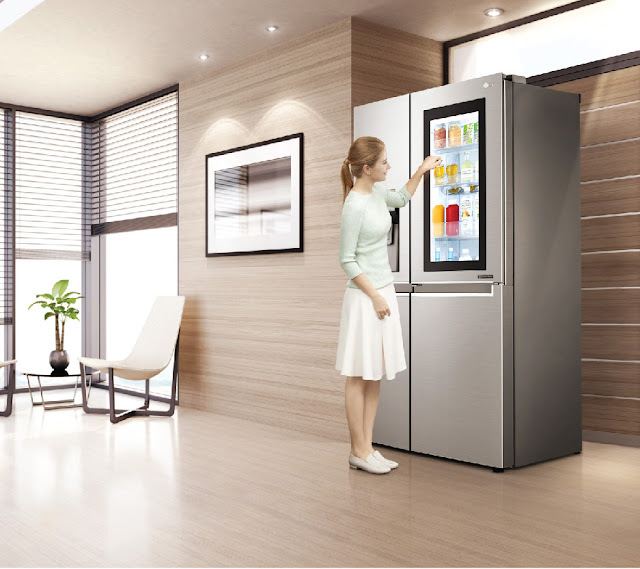 It helps consumers better manage their lives through intuitive technology that fills the need for more convenient and more efficient home care. Time flies so fast. September marks the start of the early holiday season in the Philippines. Since we always have this long celebration. It's time to get our list ready and write down all the Christmas gift for our loved ones. How about a nice vacation in the country known for its nice culture and history? 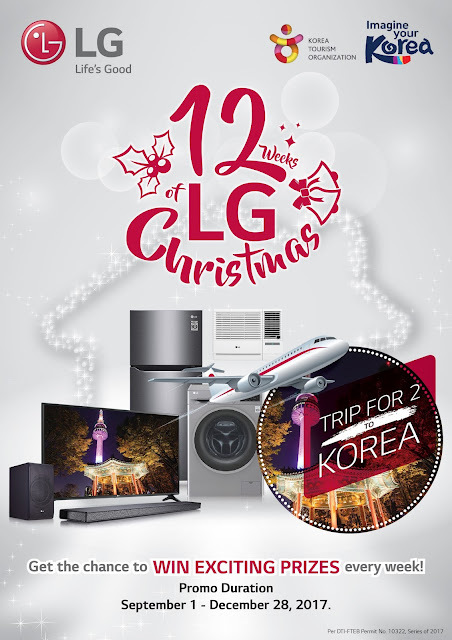 Do you know that you can be one of the lucky people to visit Korea when you buy an LG products? Entertainment or Appliance product from any of the participating authorized LG dealers qualifies you to join this raffle. Promo is only from September 1 to December 28, 2017, so hurry and join now! See below for the full list of the prizes and participating dealers. Chelsea and I have been supporting one of the lovely project of SM Supermalls every Christmas which brings a smile on every child's face, the SM Bear of Joys where in Chelsea buy 2 bears for a price of one and the other bear will be donated to an orphanage. Last September 16, 2017, SM Supermalls marks the start of their early kickoff for their 100 Days of Christmas countdown. 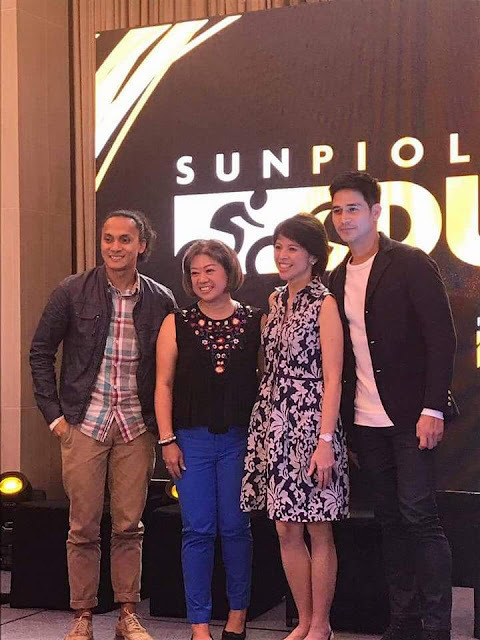 64 SM Supermalls will bring lots of fun and memorable experience for the shoppers. Patrons and loyal shoppers can expect a lot of exciting deals and fun-filled activities at SM Supermalls for the customers experience a nice and meaningful holiday celebration this year. Customers will be greeted by sparkling lights and whimsical archways. It's also the perfect time to get those Christmas list ready. As a lot of Food Stalls are popping out from left to right and on almost every corner, you might be thinking if how can a new comer into this industry "Stand Out" from their competitors. 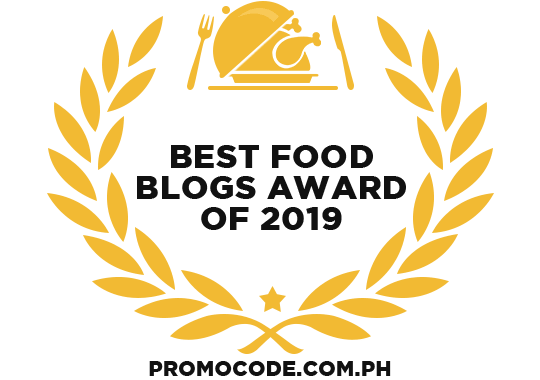 Fries Pa More is a locally owned snack- type fast food outlet here in the Philippines. The idea of putting your snack and drinks in one cup is really nice especially if you're hungry but you have a lot of stuff in your hands. With Fries pa More you can enjoy eating fries and drink while walking. They serve a combination of favorite snacks of Filipino especially the young ones. They serve Belgian Fries with drinks that only cost Php. 39.00. They also have a set of snacks that is surely delicious but budget friendly. They already have different outlets nationwide and mostly located in crowded places like schools, universities and other locations near you. Are you a fan of Lightning McQueen? The red racing car which is popular with most kids. Even me in my 30's I still love watching these characters. My daughter has grown together with Lightning Mcqueen as she already watched Cars 1 and 2 when she was 3-4 years old. When she heard the news that we will be watching and attending the premiere night of Cars 3, she was really excited and smile was all over her face. The press conference for the "Cars mini toys" was held at SM Southmall. there were a lot of Cars mini toys that have been available for purchase. There are games and attendees took home collectible items from Cars 3, It was really a haven for Cars lover. After the mini toy event, we went straight to the cinema to watch Cars 3. Do you love the cute characters of My Little Pony? Cheerful and Energetic Pinkie Pie, The intelligent Pony Twilight Sparkle, The fashionista pony Rarity,Rainbow Dashand the honest and down to earth Applejackon September 23,2017 for My Little Pony Friendship Run Manila that's going to be held at SM by the Bay, MOA Complex. 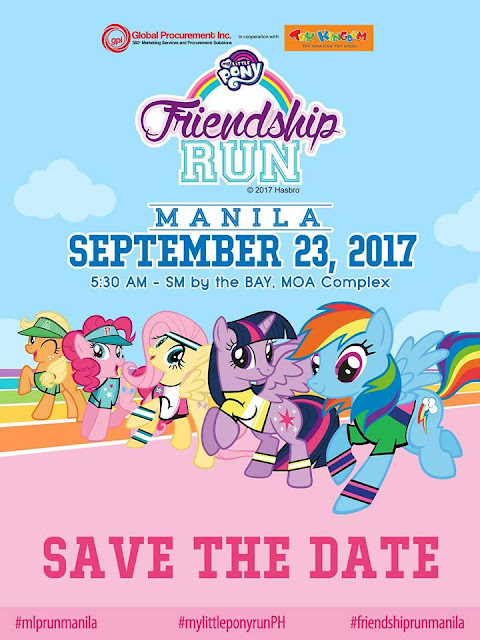 My Little Pony Friendship Run Manila featuring a 500-meter run, 1K, 3 K and 5 K run. Interested participants can register online athttps://reg.goorahna.com/event/mylittleponyrun2017 Walk-in Registration at Chris Sports Outlet in SM North Edsa, SM Megamall, SM Mall of Asia.